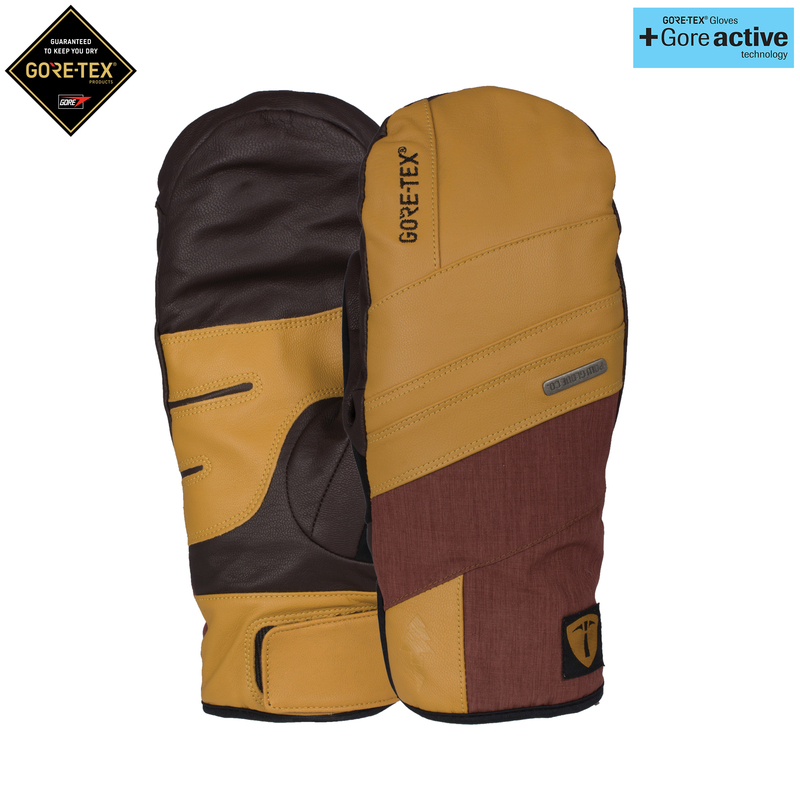 The Royal GORE-TEX® Mitt from POW is a warm and comfortable mitten with gore-tex active membrane that will keep your hand warm and dry. This particular model is the favorite for park crews around the world. With 100g of 3M™ Thinsulate™ Insulation to keep them warm and a durable and waterproof GORE-TEX® insert these POW Gloves put up with the beating of digging, riding, and tweaking over 100 days a year. Distressed color way disclaimer: Distressed leather is unique to each pair of Gloves and Mitts and may not match exactly the images shown online. 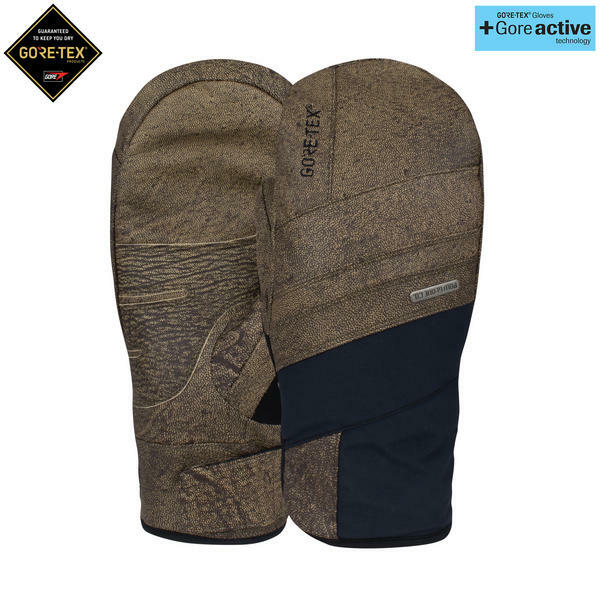 Waterproof and Breathable GORE-TEX® Glove plus XCR® Product technology - The whole system of inner lining, membrane and outer material is optimized for extreme breathability. Double up inside your gloves for extra warmth. 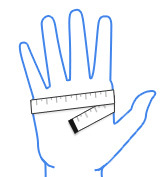 Low profile glove that has been part of the POW gloves range for many years. The POW Stealth Mitt, the toastiest leather mitt in the game, is back and better than ever with a new design. The Tanto Trigger Mitt represents the ultimate warmth and dexterity.